Prešernov trg Square was developed from a road junction in front of one of the city gates leading to medieval Ljubljana. Overlooking the square is the pinkish Franciscan Church of the Annunciation, and on the opposite side Plečnik's Triple Bridge extends the square to the other side of the Ljubljanica River. 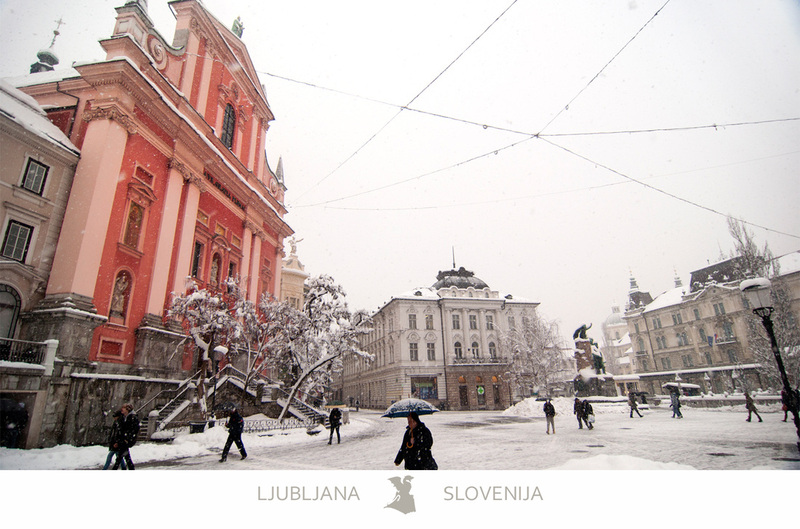 Prominently standing near the bridge is a statue of Slovenia's greatest poet, France Prešeren, the Square's namesake.